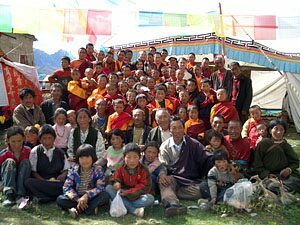 Rinpoche is from a village called Shenkar, which lies just outside Kandze. 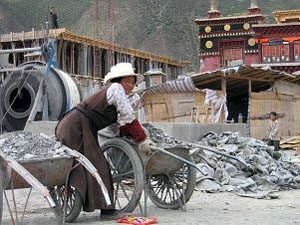 Generally, a monastery is an important part of a Tibetan village. 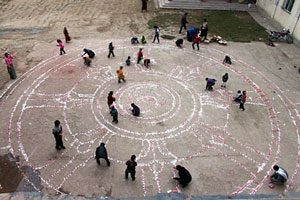 It serves as a school for young children and a centre for the many activities of the village. 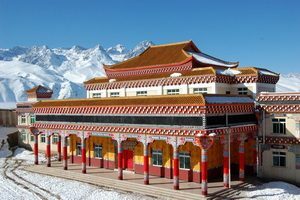 A thriving monastery means a thriving village. The monastery of Shenkar was very run down. 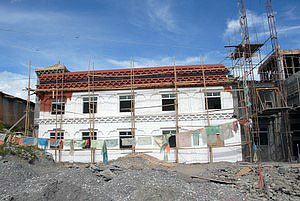 I 2004, Rinpoche started the rebuild. It was decided to tear down most of it, leaving just the old monastery hall. The new building was finished in 2010. The pictures below show the development of the project. 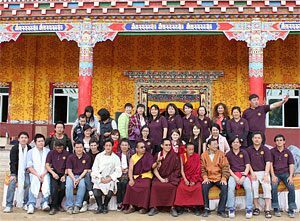 This was made possible by Rinpoche´s determination, the generousity of Rinpoche´s students and friends, and the support of the monks of Gon Long. 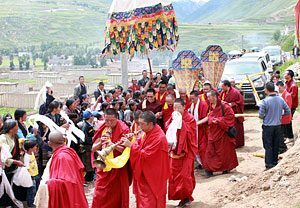 This interesting video shows the opening ceremony of the new monastery building, with a parade of horses and motorcycles. The following photographs show the evolving monastery. 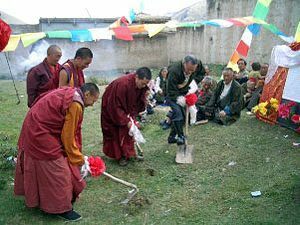 August, 2004: Ceremony to bless the project. 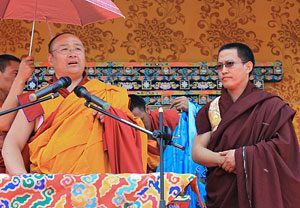 August, 2004: Rinpoche performing the ceremonial opening of the work. 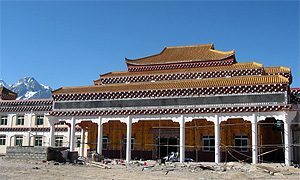 August, 2005: The new monastery is taking shape. The monastery in the background. A volunteer in the picture working. 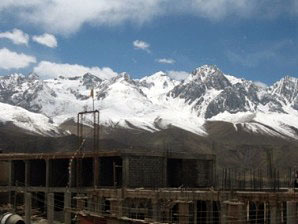 May, 2006: We can know imagine the finished college with the magnificent snow mountains in the background. 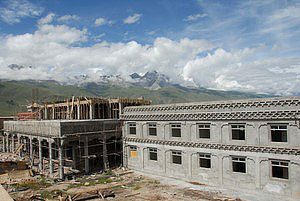 September, 2007: The main structure of the college has been finished. September, 2007: The left wing has been painted. 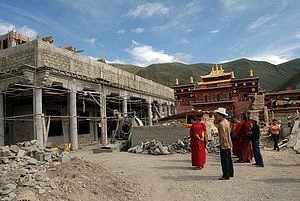 September, 2007: Rinpoche is inspecting the progress. His brother, Dorje, with white hat in the foreground. 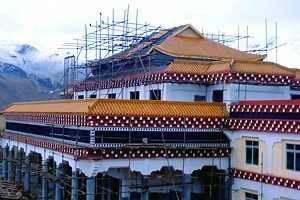 The old monestary has got a new roof. December, 2007: Most of the outer walls of the school has been finished. The opening will be in 2009. 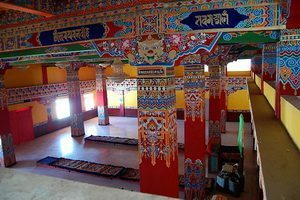 Rinpoche is working to fund to large statues status, one 5 m statue of The Buddha and one 3 m statue of Chenrezig (Avolokiteshvara) before the opening. September, 2008: Decoration of the new monastery. 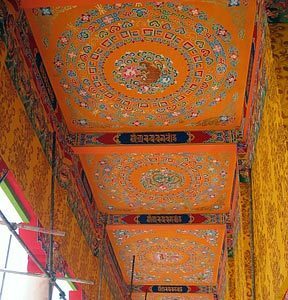 The art work is done by Rinpoche´s brother, Dorje. Main building and left wing with living quarters. November, 2009: Inside the new monastery. November, 2009: The new monastery. 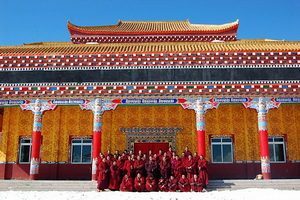 November 2009: Rinpoche and monks outside the new monastery. 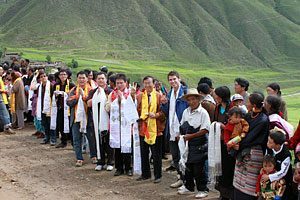 Students and followers waiting for Rinpoche to arrive for the formal opening of the new monastery 14th of July 2010. The school now finally finished six years after the initial blessing ceremony held in August 2004. 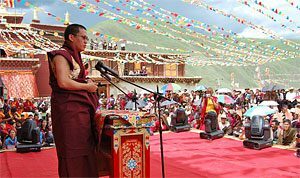 Rinpoche opens the celebration and talks about the importance of education as a means for helping the Tibetan people out of poverty. 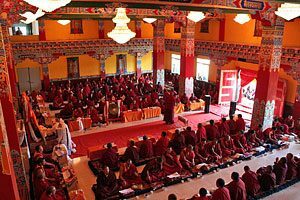 Dzogchen Rinpoche emphesized the close connection between the Dzogchen and the Gon Long monasteries in his speech. 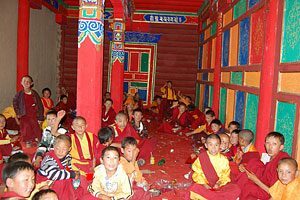 Young monks celebrating with candy and drinks. 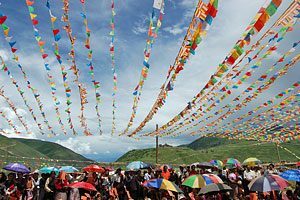 A colorful display of prayer flags and umbrellas. 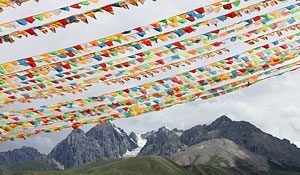 Prayer flags and the surrounding mountains. Students from Taiwan, Malaysia and England visiting on this great occasion. The building of the school has been possible by their and others efforts to raise the necessary finances. There was a large gathering of monks on this happy occasion.